ANALYTICAL APPROACHES TO SHOPPING CENTER RE-MERCHANDISING NEEDS | MELANIPHY & ASSOCIATES, INC.
With today's seemingly unlimited competition, numerous shopping centers are faced with the need to critically examine themselves. 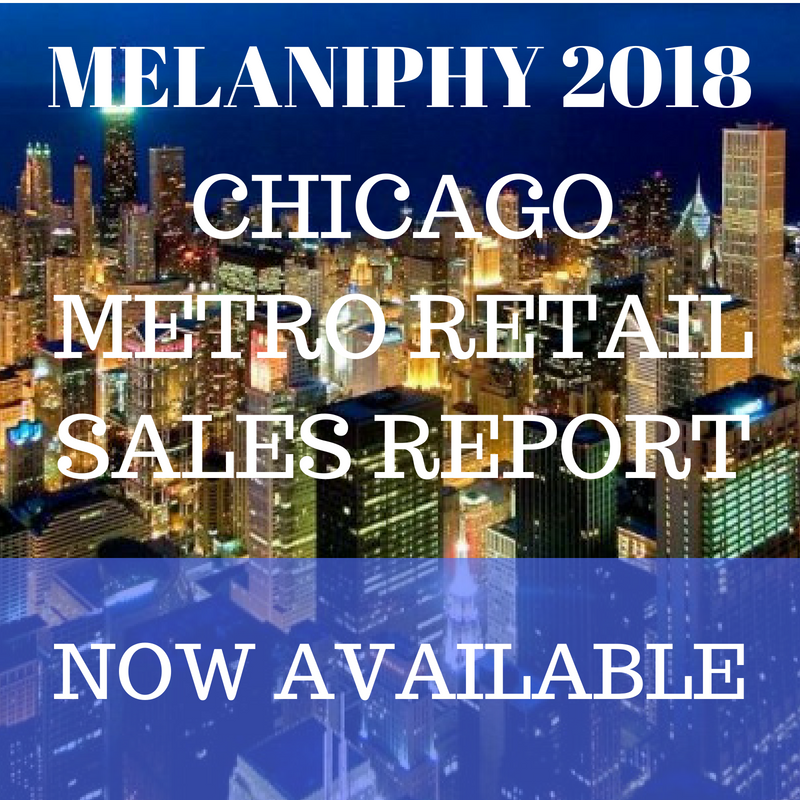 In the Chicago area, we recently found that over the past ten years, the average major mall had tenant turnover of over 67 percent and, in some cases, close to 80 percent. In Texas, we found increasing vacancy in both young and older malls, while in Florida, we found big box users vacating centers less than five years old for newer power centers. If your center is faced with declining tenancy or additional competition, it will pay to consider this process as a way to strengthen your center and protect your investment. The initial step is to critically analyze your center's general market and center performance. Competitive, Convenient Access and Demographic Changes in the Market Area Most recognize that it is important to understand the changes that have taken place in the general area over the past five years. This includes new shopping centers or malls, centers expanded or re-tenanted, and any major freestanding stores. Where are they located in relation to your center's customer base? How did they impact your center's tenants and sales? Did they change shopping patterns and customer orientation? Often accessibility to an area or ingress or egress can be changed with a major street widening or improvement. Is one planned? It is very easy to find out from the state department of transportation or the local traffic engineer. If one is planned, get with the traffic people and make your voice heard regarding how it will impact your center. If it has already occurred, did it affect your center's trade area? Did you lose some competitive advantage? What can be done about it? The U.S. population is aging and many urban areas are changing ethnically. Have any of these changes affected your center's trade area? The aging of the population will have a dramatic impact upon retail store orientation over the next five years. Is your tenant mix ready for the changes? These are simply some of the questions that one need ask when assessing shopping center and market area changes. It is important to understand the annual changes that have taken place in your center or mall for at least the past five years, including: annual sales, store sizes, sales per square foot, store placement, store turnover, independent versus chain stores, store mix, types of merchandise, types of stores leasing space, or vacating the center, store size changes, store competitiveness, occupancy/vacancy, quality of store management, effectiveness of center management, promotional activities and their level of success, visibility, my dark spaces, entrance and exit utilization, and other elements particular to your center. Examine your shopping center as a consumer or retailer would. Does the center look sharp and appealing? What needs to be improved? Often this might include facade improvements, parking lot repair, better signs, entrance/exit changes, lighting, new roof repair, store fronts, beautification, and more. Physical deficiencies can loom large in the consumer's mind if newer, more modern shopping centers are located nearby. The customer intercept program involves intercepting the customers as they leave the center or mall. They are then queried regarding their shopping habits, patterns, place of residence, and socioeconomic characteristics. The process usually takes four to seven days depending upon the center or mall's size and performance. Particularly important is: who is the most frequent customer to the shopping center and why? Where else do they shop? Who are their favorite competitors? When was the decision made to visit your shopping center? How long did it take the customer to get to the center? How much did the customer spend at your center? What stores were visited? What do they like about your center? Is there anything that they dislike? What improvements do they think your shopping center needs? How does your center rate in comparison to other centers, including safety and security? Also, what are the customers' household incomes, ages, numbers of children, and where they live or work? Some shopping center managers rely on focus groups to achieve this insight. That is acceptable as long as the groups selected are truly representative of the shopping center's customer base, and more importantly, the most frequent shoppers to the center. In my almost 40 years of evaluating shopping centers, I find that focus groups are often too narrow and rarely represent a shopping center's most frequent shoppers. How can anyone know who the most frequent shoppers are without first intercepting them as they leave the center to find out? Most executives like focus groups because they can watch and listen to the focus group members and draw their own opinions and conclusions. Unfortunately, if not done very carefully, it can be a great way to reinvent the Edsel. Knowing a shopping center's actual trade area is very important. Customer intercept surveys can provide that definition. Plotting the location of the customers by their origin (home, work, shopping and others) and by frequency of shopping at your shopping center will not only provide a trade area, but it will also show where the most frequent shoppers originate. It will also usually indicate the trade area subparts where residents are not coming to your shopping center. Usually, the most frequent shoppers make up at least 60 percent of the sales of the shopping center. Telephone Interviews with Trade Area Residents Knowing one's shopping center customer profile and characteristics is often only half a loaf. To truly understand a center's strength and weakness, it is usually necessary to conduct telephone interviews with residents of the trade area. This can be done either as a random selection or targeting specific subparts of the trade area. The former is most often done while the latter is done when there are trade area subparts that are weak and providing few customers to your center. Regardless of the method, the objective is to find out why some trade area residents do not shop at your center or mall and what can be done to encourage them to change their patterns. Also, part of this process is a determination of the trade area 'universe's' actual shopping patterns, habits and frequencies. Before making any changes in your shopping center, it is important to know: - The market penetration for the trade area and its segments (primary, secondary, and others); and - Your shopping centers market penetration by retail category (food, general merchandise, apparel, accessories, and others). This can be accomplished by computing retail expenditures both by retail category and by trade area segment. Moreover, by using your center's customer distribution and frequency of customer visits, one can distribute the shopping center's sales to the various trade area subparts. Next, the relationship between retail category expenditures and your shopping center's sales can be computed by trade area segment to determine the center's market penetration. There is no better way, that I know of, to see how well your center is doing in relation to the market in which it is competing. When analyzed on a map reflecting competition, physical or psychological barriers, road patterns and others, a clear picture of the shopping center's attraction emerges. Moreover, a picture of probable actions also becomes clearer. Competition must be analyzed both qualitatively and quantitatively. Competition should be inspected and cataloged on the weekends when retailing peaks. That way one can see who is doing business and who is not. Furthermore, competition must be evaluated by location, name, type, convenience, size, store mix, anchors, performance, merchandise quality, merchandise lines, price points, merchandise presentation, advertising, service, customer perceived value, accessibility, parking, security, and others. Retail Store Changes This step is fairly easy once all of the above activities have been completed. Needs and weaknesses become obvious. Make a realistic list of active retail store additions in the retail categories that reflect both market and need. The list represents target stores for your center or mail which will strengthen the center, improve its attraction, and better meet consumer demands. Solutions may include: entertainment, cinemas, big boxes, theme restaurants, interactive retailers, bookstores, aquariums, museums, and even casinos. An aggressive leasing program can be prepared when armed with very specific market and customer data that can have a significant impact upon a retailer's representative. Physical Needs Alternatives The next action is to review the list of physical needs in light of the study findings. There are almost always some changes required. The needs often include: exterior changes, interior changes (malls), signage, demalling, demolition, new construction, parking changes or additions, circulation alterations, beautification, landscaping, lighting, and others. Regardless of the needs, they can be prioritized based upon costs and both short and long range benefits to the center or mall. Financial Analysis of the Re-Merchandising and Redevelopment Alternatives A large part of the final decision will be the result of a financial analysis of the alternatives including estimated costs, store types, impact on existing stores, impact upon overage, rent forecasts, and most importantly, value. We find that by creating a matrix of options, costs, impacts, and financial outcomes, a clear picture emerges. it is most helpful in making the final decision. The big box revolution has forced many centers and malls to reflect upon their future and their value. By developing both market and center facts and analyzing them in a logical framework, the alternatives available to management and ownership become very clear.